You are here: Home / Snake Fencing / Can A Fence Keep Out Snakes? Snakes are becoming more of a problem as their territory is encroached upon by human development. However, there are fencing solutions that work very well to keep snakes out of back yards and other pet, livestock and human occupied outdoor areas. Most fences are designed to keep out or keep in larger creatures. Often, snakes easily get through or climb over them. 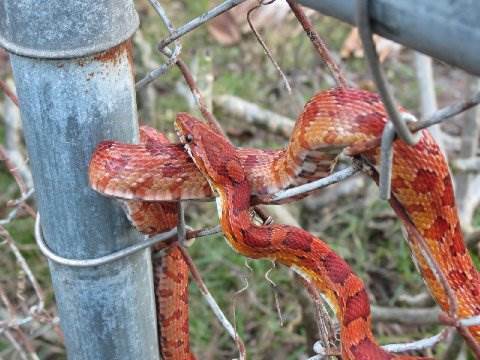 Snake fences are specifically designed to keep out snakes and can be installed separately from other fencing materials. This type of snake fencing is designed to let a snake get partially through the fence. It is made of a plastic material formed into a mesh that has holes just large enough for a snake to begin to squeeze through. The mesh expands as the snake starts to squeeze through trapping the snake about midway through the fencing mesh. This method is for capturing snakes to have them removed by wildlife professionals to another area. Its main drawback is mesh that is big enough for small or baby snakes to get through. Another drawback for some is that it requires checking the fence line on a daily basis, and the necessity of having snakes trapped alive in the mesh professionally removed. A benefit is that since it traps snakes at the fence, it helps to reduce their population in an area. This type of fencing is also made of plastic mesh. However, the openings in the mesh are too small for snakes to get through. It is designed to act as a barrier that snakes will crawl along but not over. The mesh apparently looks to snakes to not be a solid barrier that they can attempt to climb over. 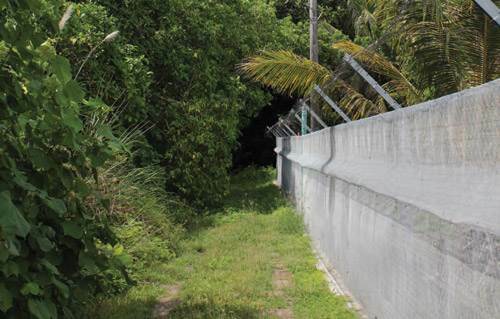 When snakes encounter the barrier they follow a path alongside it not attempting to crawl over it like they would if it was a wall or highly visible barrier that appeared solid. 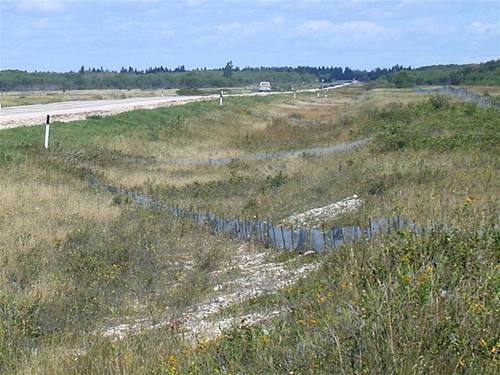 The drawback of barrier fencing is not capturing snakes in order to reduce their population in an area. However, a benefit of snake barrier fencing is it also prevents small snake species and baby snakes from getting through. Another benefit is that since it does not capture snakes, there is no need to physically remove snakes caught in the plastic mesh. Both of these types of fencing are easy to install. The fencing fabric comes in rolls. Stakes are individually pounded into the ground in a pattern around the perimeter of the area being protected. The fence fabric is then attached to the stakes. A critical part of installation is having good ground contact. 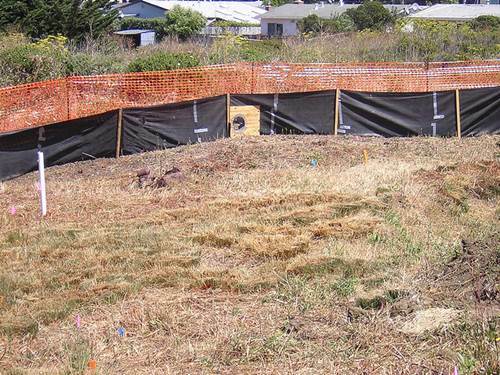 Flexible fencing makes it easier to achieve good ground contact as compared to rigid fencing that must be buried below ground level in some spots to achieve contact with the ground. Many types of snake fencing are sold, but most are either rigid or solid. Climbing snakes may find it easier to get over rigid fencing that appears to them to be a sturdy enough surface to support their weight while climbing. One of the benefits of the flexible plastic fabric fencing is that it does not appear to snakes to be sturdy enough to support their weight while climbing thus discouraging climbing attempts. Ted Fritz is a guest blogger. Living in Tucson, snakes are a common problem, which led him to the website of Johansen Fence & Gate.